The mulberry plants which are allowed to grow tall with a crown height of 5 - 6 feet from the ground level having stem girth of 4 -5 inches or more is called tree mulberry. They are specially raised with the help of well grown saplings of 8 - 10 months old with any of the varieties recommended for rain fed areas like S-13 (for red loamy soil) or S-34 (black cotton soil) which are tolerant to draught or soil moisture stress conditions. Usually the plantation is raised as block plantation with a spacing of 6 feet x 6 feet or 8 feet x 8 feet as plant to plant and row to row distance. The plants are usually pruned once in a year during monsoon (July - August) at a height of 5 - 6 feet from the ground level and allowed to grow with maximum of 8 - 10 shoots at crown. The leaf is harvested 3-4 times in a year by leaf picking method under rain fed or semi-arid conditions depending upon the monsoon. Combining trees and field crops in arable lands is called as "agro-forestry". The objective of agro-forestry is to improve the productivity and sustainability of land management system through introduction of woody perennials in herbaceous crop husbandry. Selection of tree species to be used in agro forestry must be based on cultural and economic as well as environmental and biological factors. Thus growing mulberry as tree in highly eroded flat to gentle sloppy land unfit for growing arable crops, arable lands with soil fertility problems, degraded sloppy land can serve as one of the best means of agro-forestry. Who can grow tree mulberry? (a) Bush system of mulberry cultivation: under protective irrigation. (b) Low-height tree type mulberry cultivation: Suitable in hilly regions. 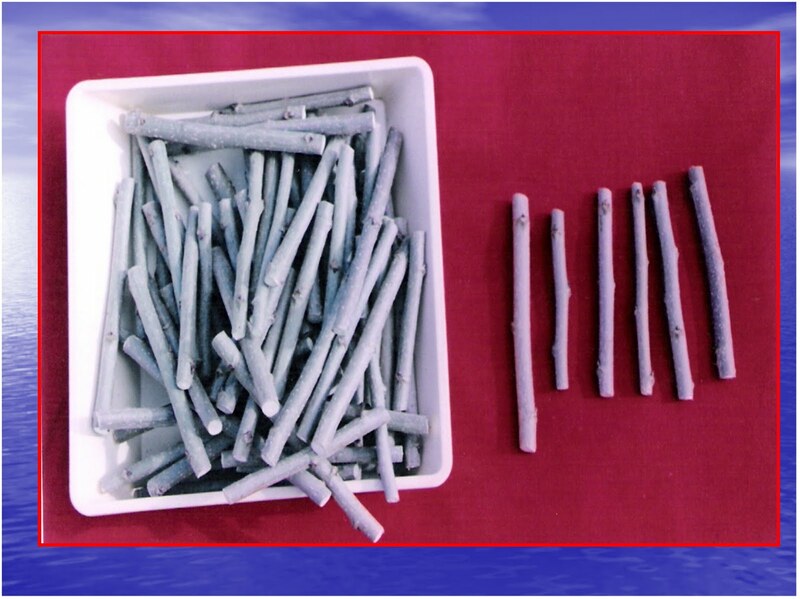 (c) Tree mulberry cultivation: Best suited to overcome acute water stress conditions. The mulberry saplings are developed in the nursery. A flat land nearer to water source is preferred as nursery site. 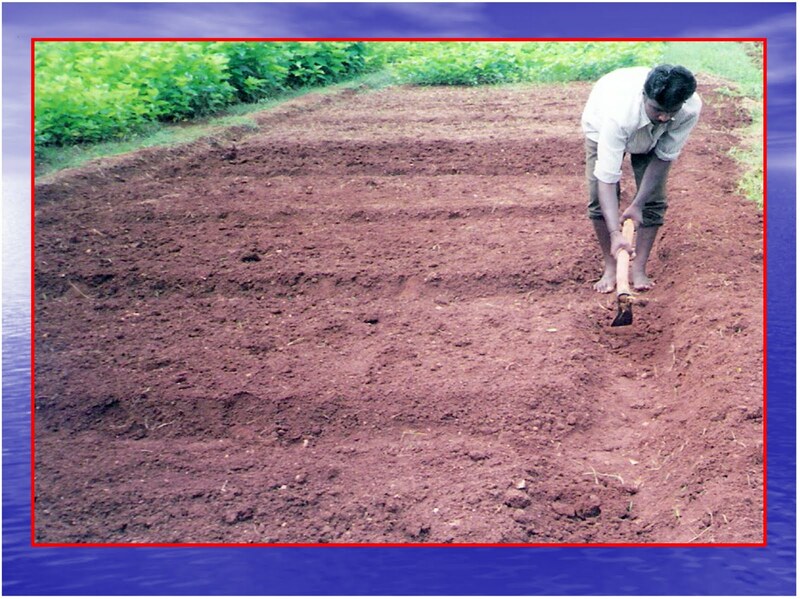 Well drained land with loamy soil is ideal for nursery. The land must be ploughed or dug 30‑40 cm deep and allowed for weathering in sun for 2 - 3 weeks. Land is again ploughed two or three times to bring the soil to fine tilth. Root stocks, pebbles and weeds are removed at the time of ploughing and the land is leveled. The land is divided into a number of small beds to prepare the nursery. The size of each bed is decided keeping working convenience in to mind. A bed size of 3.0 m (L) x 1.2 m (B) accommodates 100 cuttings (row to row 30 cm and cutting to cutting in a row 10 cm distance) to raise 8-10 months old saplings. Each bed on all sides is separated by a bund of 25 to 30 cm width and height and provided with irrigation channel of 25 to 30 cm width and 15 to 20 cm depth. Each bed should be manured and mixed thoroughly with 5 pans of FYM / sericulture compost / vermicompost. In the case of clayey or black cotton soil, additional 5 pans of sand per bed should be mixed with soil uniformly. In the case of red loamy or sandy loam soils, there is a possibility of termite infestation. As a preventive measure, 0.1 % Chloropyriphos (5 ml per litre of water) can be sprayed to drench the soil of nursery beds (2-3 litres per bed). Regular care and irrigation should be provided for good growth. 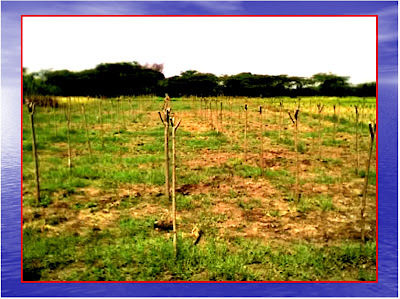 For tree plantation, the saplings are transplanted from the nursery after 8-10 months of maturation. 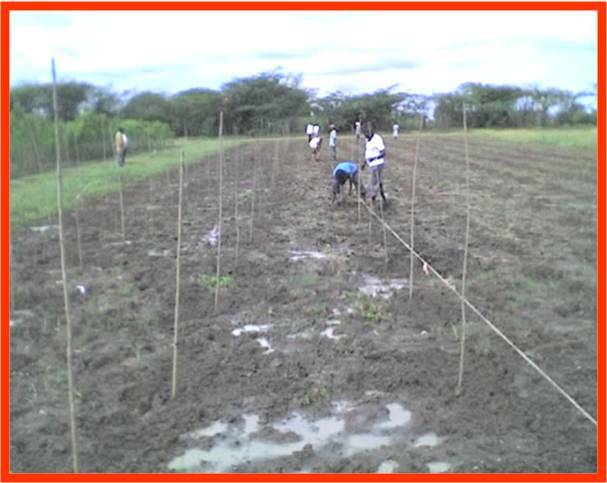 The matured saplings are removed from the nursery by deep digging and without damaging the roots. It is advisable to irrigate the nursery beds thoroughly at least 2-3 days before uprooting to facilitate easy and complete removal of saplings with roots intact. The uprooted saplings are immediately planted in the main field after removal of leaf, top clipping and dipping the roots of the plants in 0.2 % solution of Diethane -M 45 to avoid fungal root disease. 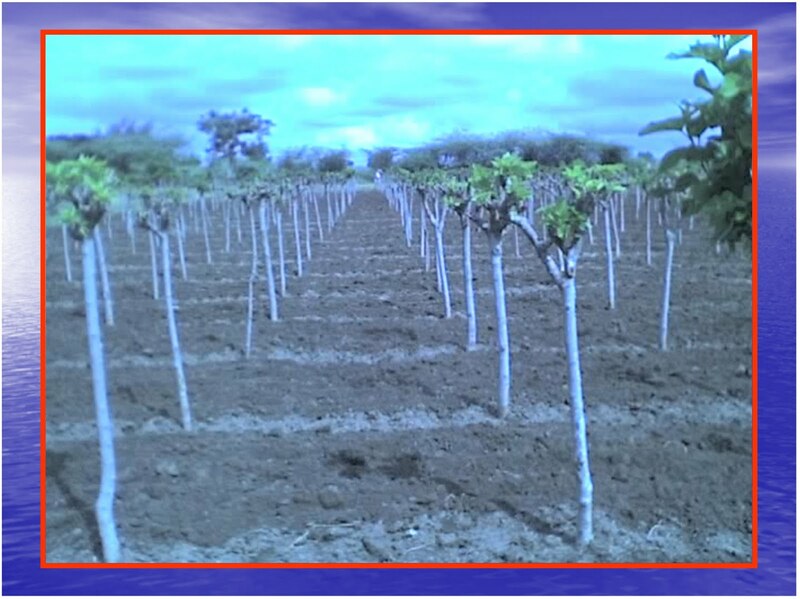 A flat / sloppy land with red loamy / black cotton soil or denuded land not suitable for other agricultural crops can be selected for raising tree mulberry as block plantation. 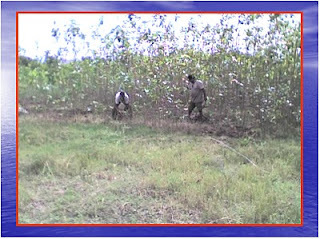 Plantation can be taken only during rainy season preferably in July - September or depending upon the onset of monsoon. The land should be thoroughly ploughed by tractor / bullock plough depending upon the soil condition after receiving one or two pre monsoon shower and weeds should be removed. Fig- 4: One year old mulberry saplings ready for transplantation as tree plantation. Once the land is made ready, farmyard manure / sericulture compost can be applied @ 10 MT/ ha and mixed with the soil. It is highly necessary to follow soil moisture conservation practice by raising wide bunds all along the four boundaries of the plantation to avoid runoff and allow rain water percolation in the planted area during monsoon. Before plantation, pits of the size of 35 cm (L) x 35 cm (B) x 35 cm (D) are dug at 8 feet apart from each other considering plant to plant and row to row distance as 8 feet x 8 feet. Each pit is then planted with one transplanted matured sapling exactly in the centre of the pit. To determine the centre of the pits and to keep the rows straight to avoid zigzag plantation, two ropes are used length and breadth wise and the intersecting point of the two ropes is considered as the centre of each pit. The pits are then filled with soil and pressed properly for better anchorage with the ground. Once the plantation is over, all the planted saplings are pruned uniformly at 5 feet height (crown height) from the ground level within 2-3 weeks and allowed to grow for 8-10 months as establishment period or even a year without harvesting leaf / disturbing the plants. 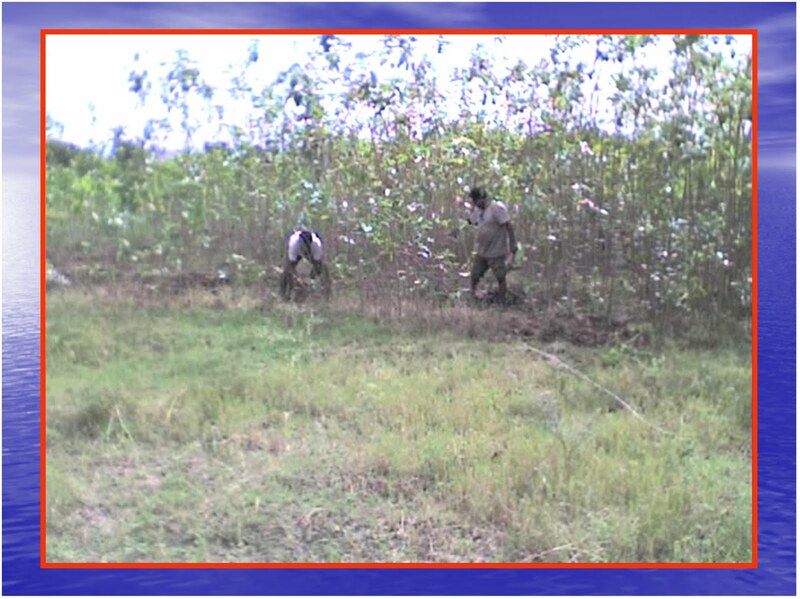 However, weeding should be done as and when required during the establishment period to facilitate better growth. After 4 -5 months of plantation, the first weeding is done manually or by using power tiller to avoid damage and chemical nitrogen fertilizer only @ 50 kg per hectare is applied to boost the growth of plants. The required fertilizer in the form of urea / ammonium sulphate is applied near each plant by making basin and irrigation is followed. 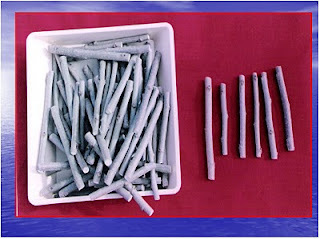 If required gap filling can be made with properly grown sapling. Plants should be given life saving irrigation as and when required in non rainy period for better establishment. Further, the whole planted area can be divided in to small blocks of 15 - 20 plants in each having wide bunds all along the four sides to allow in-situ soil moisture conservation during rainy season. During the establishment period, the plants may attain a height of 10 -15 feet from the ground level with three to four branches if properly maintained. Fig-5: Mulberry tree plantation under progress in main field. Once the plantation is established properly, the plants are pruned uniformly at the same crown height (5 feet) where the plants were pruned earlier during the time of plantation. This should invariably be followed only during rainy season (July - September) to facilitate the vigorous growth of shoots from the second year onwards. Farmyard manure @ 10 MT per hectare per year is applied within a week of pruning and the weeding is followed with the help of tractor / power tiller / country plough to mix the manure with soil and to save the manual lobour days. Immediately after this basins around the plants are cleaned to apply fertilizers and allowing rain water percolation near the plants. Depending upon rainfall, chemical fertilizer NPK is applied @ 150:60:60 kg per hectare per year in two equal splits in the form of ammonium sulphate for alkaline soils or urea for acidic soils in early and later part of rainy season. Green manuring with sunhemp or dhaincha for the improvement of soil fertility and water holding capacity or intercropping with short duration crops (Groundnut, Cowpea, Horsegram , Ragi etc) for augmenting income can also be done from the second year onwards. If the plantation is inoculated with VA-mycorrhiza followed by green manuring, reduced dose of FYM & NPK fertilizer can be applied @ 10 MT and 50:25:25 kg per hectare per year respectively. Leaf can be harvested by individual leaf picking after every three months depending upon the rainfall and soil moisture condition. Thus it is possible to harvest 3 - 4 crops annually ranging from 7 - 8 MT of leaf per hectare per year. 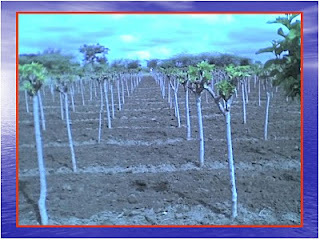 Fig-6: Pruned mulberry saplings after one year of plantation. I find your articles very interesting and insightful. I just wanted to know if this plant lives in the climatic conditions of UK and if so, the worm can be bred here on a commercial basis. I anticipate your response to this. Sericultur is declining world over there is need to creat awareness and interest among the common people and students . It is very interesting and infomative artical for students and commen people.